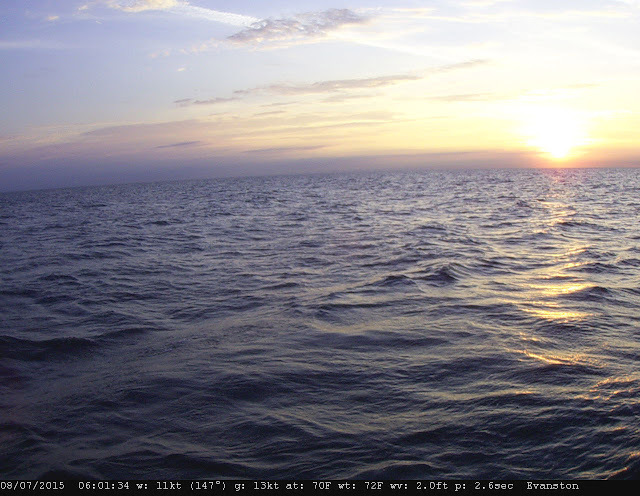 This week’s photo was taken by the newest member of our IISG team: Wilmette Buoy. She captured this sunrise at 6:01 this morning and will be photographing every hour throughout the day — every day — until 8:01 this evening. You can find the rest of Wilmette Buoy’s photos in the LimnoTech Webcam gallery. By the way, she also does video!